New Year. New Six Word Friday posts! 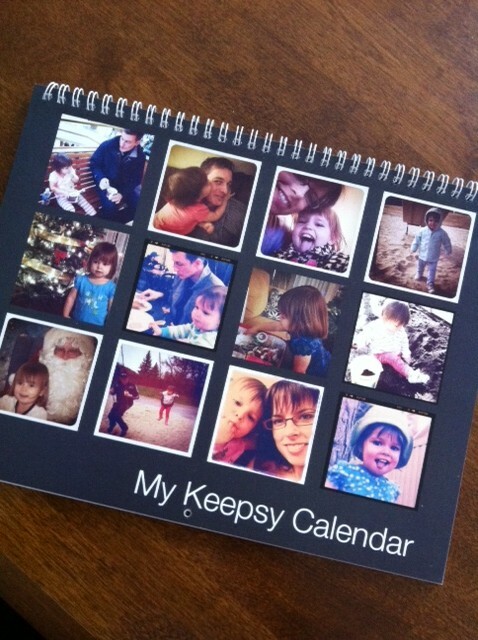 This post is inspired by my new-found love of Keepsy – a photo album site that allows you to create awesome photo albums and calendars using your digital photos, including those uploaded to Instagram. 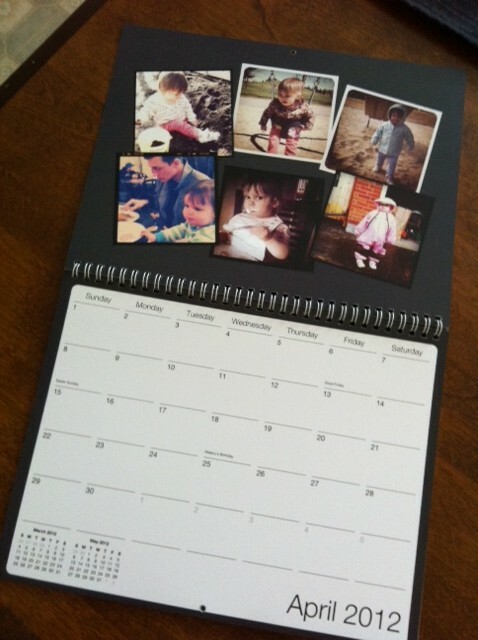 I tested the service last month – making a 2012 photo calendar using my favourite Instagram photos of DD and DH taken over the past year. I was a bit doubtful about how well the photo quality would turn out, but wow. The results were so awesome that I promptly gave the calendar away to DD’s grandparents and ordered a couple more for me and DH. You can’t really tell in the above images but trust me when I say the image quality of the calendar in real life is impressive. I’m looking forward to capturing lots more memories via Instagram in the year ahead, and making another photo calendar for 2013. To read more posts on the theme of “looking forward” check out Melissa’s blog. I guess one day I will have to try out Instagram. I keep reading so much about it! Instagram is a lot of fun. Great online community too. Check it out! Love how you’ve woven the notion of learning from the past together with looking ahead. And it’s true, having this year’s calendar with last year’s pics really does that! Hi Rachelle – exactly right. Always, it’s about the journey not the destination. sounds like the way to go! Nice! Happy New Year, Mel! I read your Six Word post and can’t help but think of this being my 60th year and every one of your lines makes my brain cells fire and think 🙂 I need to check out instagram!! Have a great 2012!